Cookbooks: I read them like novels. I even get teary. I love reading how recipes came about and the family stories that go along with them. 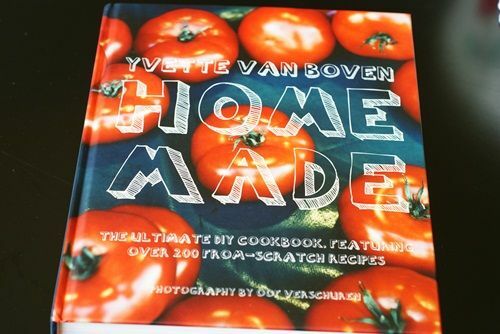 I want to introduce you to a beautiful cookbook called Home Made by Yvette Von Boven. Yvette runs a restaurant and catering business in Amsterdam, along with being a food stylist and recipe developer. How glamorous is this....she splits her time between Amsterdam and Paris. Home Made is a substantial book, weighing 4 & 1/2 pounds...that's heavier than kiddo when he was born. The book has everything...cocktails, main courses, desserts, pasta, soups...you name it. 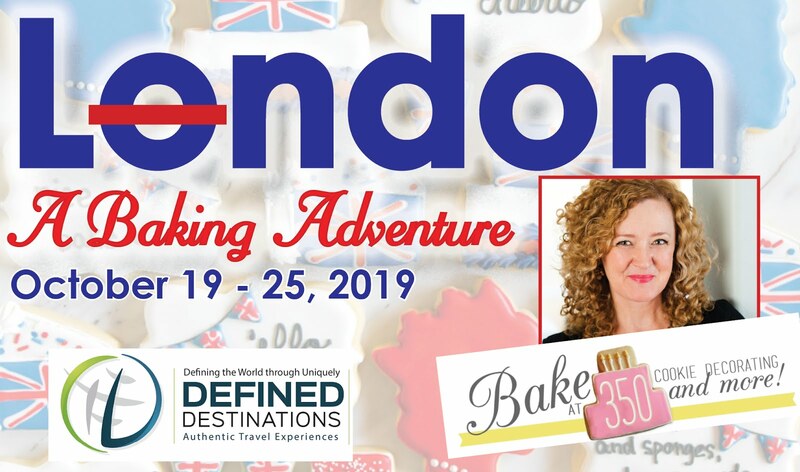 Yvette walks you through making bread, making ice cream (without an ice cream maker), building a simple outdoor grill, making cheese, making chocolates, and more! And, the book is beautiful. I tried a recipe called "Chocolate Fondant Cake" which I renamed pie. To me, fondant means the roll out icing that goes over a cake. 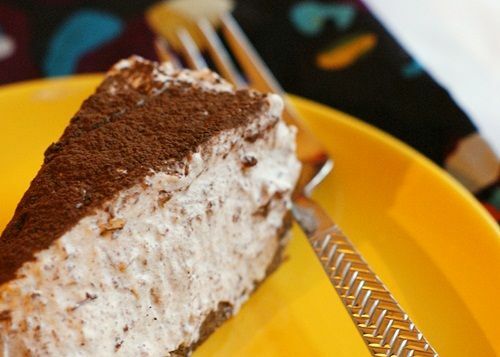 Whatever you call it, the cake/pie is sinfully creamy and delicious! It starts with a cookie crust. Crust supposed to be made with Amaretti cookies. I love these little Italian cookies. In my grocery store, they're not found with the cookies, but over in the "Italian section." I knew I had a bag in my pantry. whip up some cream, add amaretto...chill (you and the pie)...and you have yourself a glorious dessert. Line an 8 or 9" cake pan with plastic wrap, allowing excess to hang over the sides. Melt the butter. 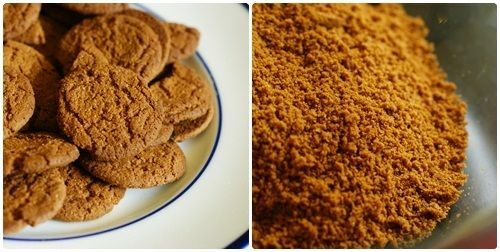 Process cookies in a food processor until evenly ground. Stir the butter and crumbs together; press into the bottom of the pan. 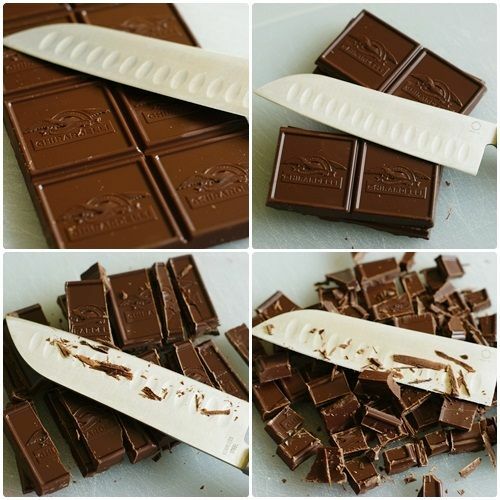 Melt the chocolate in the microwave or in a bowl over a pan of simmering water. Let cool slightly. 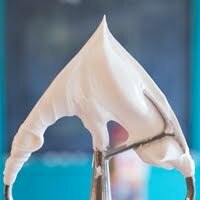 Beat the cream and sugar until stiff peaks form. Gently stir in the melted chocolate. Add the Amaretto and stir. Before serving, lift the pie out of the pan , remove the plastic wrap and sift cocoa powder over the top. Serve small wedges...it's rich! Want a copy of Home Made for your very own? "What is something you've always wanted to make or bake at home, but have never tried?" Giveaway closed...Jane is the lucky winner! Yay, Jane! I've never made a chocolate souffle, though I always want to. I need to find the right ramekin (or several small ramekins! ), and I keep letting that stop me. Plus, I always hear how they are hard because they have to be made *just* so. I've always wanted to try to make macarons...especially since I've seen so many different recipes, of different types and flavors! But I just haven't been able to work up the courage and energy to do it! I have always wanted to make meringue cookies! I would love to try making Baked Alaska sometime for my hubby. I haven't gotten up the nerve though :( That pie looks great, something I would totally make! Hugs from Conroe, TX! I've always wanted to make a french macaroons! I have a book, just waiting for the right occasion. Well, I should get on it, every day is a perfect day! I've always wanted to make a turkey! I've never done it, lol. Those chocolate melting cakes....they look so yummy!!! I have always wanted to make croissant's but the recipe looks daunting...but I still want to overcome and try it! That cookbook looks stunning (and so does the pie)! I'm such a sucker for a good cookbook. I have been telling myself that I need to make my own yogurt for some time now. I don't think I'll ever fully give up store bought, but homemade sounds like such a fun thing to try at least once! I really want to make homemade marshmallows. I have no clue why, but it intimidates me. I must try it..they look amazing! 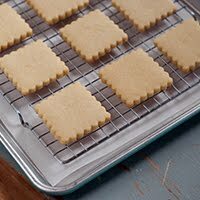 I've always wanted to make biscuits for my dog, but I haven't gotten around to it yet. Maybe some day! Cheesecake! That whole water bath thing scares me. There's definitely so many things that I've come across lately that I want to try. Top on list are lavender shortbread, then homemade pumpkin marshmallows! Marshmallows. I think it's just pure procrastination. I'm a pretty adventurous baker, but one thing that's been on my list that I haven't made yet is strudel. I've attempted croissants, and I'm sure it's not that much different, but my croissants weren't stellar, so maybe that's why I haven't tried the strudel yet? I've never made my own pie crusts and always thought it would be a great thing to know how to do well. I would like to make SweetTartelette's Macrons. I've seen several posts from several bloggers that have attended one of her workshops. She also has a tutorial on her site. I haven't taken the time to make them. Maybe now that there is a chill in the air, I will make them this fall. Taffy! The old fashioned pulled kind. I remember making it at school in the 4th grade (many moons ago) and secretly want to make it at home someday. Mmm ... I LOVE the look of that cake! It is definitely going on my to-make list! Something I've always wanted to try making? Marshmallows. I've heard they're time consuming and stickifying and totally worth it. I have always wanted to try making risotto! A traditional apple pie is something I've always wanted bake at home, but have never tried. Guess I'm afraid the crust would come out soggy. :) Thanks for a chance to win the cookbook. 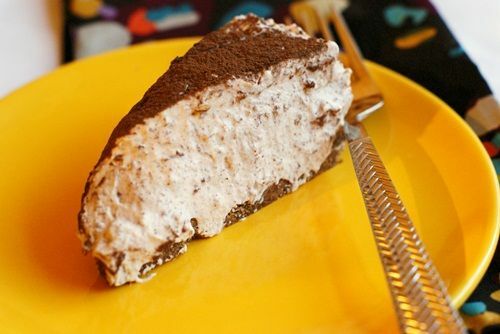 Your Amaretto pie looks scrumptious! A little embarrassing, but lasagna. I just have never done it. Don't think it's particularly challenging - I'm just particularly lazy I suppose. I need to make some sort of upside down cake one of these days soon! Baked Alaska, croissants, and all the recipes I have collected over the years cause "I am gonna make that someday"
I've always wanted to make tiramsu, but I have never made one before. The combination of chocolate, creamy goodness, and coffee flavoring. What more could you ask for? I have always wanted to make homemade ice cream! We received an ice cream maker for our wedding but have never used it because I thought it was too gimmicky (ball you roll on the ground). I'd love to learn another way! I have always wanted to make my own bread. I love the smell of it baking it takes me back to many memories of my grandma in the kitchen. I wasn't interested to learn from her as a girl, and now I just want to learn, but am too scared to try. I've always wanted to make creme brulee, but never had the right equipment! Macaroons! I even bought ground almonds but am still too chicken to try it! I've always wanted to make macarons but never have the courage to just do it! I have always wanted to make an opera cake! I just saw that book on Food in Jars and I have to say, it looks awesome. Baklava- last time I found a recipe it said makes 36 bars, I was afraid I would be the one to eat them all! I've always wanted to make profiteroles, but have never gotten around to it! I have never made cheesecake from scratch, but have always wanted to! Creme Brulee. I have the ramkins. I have the torch. I have the ingredients. I just haven't done it. No excuses. The cookbook looks intriging. any bread other than sandwhich bread. I've always wanted to try making creme brulee. It's so decadent! I've realized that I'm not so strange because I love reading recipe books. It's quite relaxing! Like Kelly, for baking, I want to make Tiramisu. It is my favorite dessert, but also because it's complicated. I don't know why but simple recipes do not intrigue me. For cooking, I want to make Peking Duck, just because of the huge effort of par-boiling the duck, then air dry it in the refrigerator, then roast it. So challenging. And I've found my new 'challenge' with decorated cookies. I've been spending way too much time on your blog for the last two weeks! 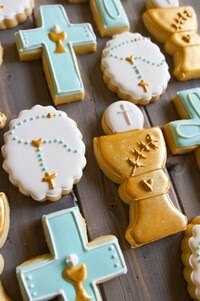 Every blogs I've been to for decorated cookies, they always pointed back to your blog. You are such an inspiration!!! Caramels! I have seen the ingredients list, and am afraid that if I make them, I would never eat them again! From scratch pasta...I even have the KitchenAid attachment but just haven't gotten around to it yet! I've always wanted to make panna cotta...I've never eaten it either, but it always seems good! I alway wanted to try macaroons. I don't know if this counts because I did it at school once, but I would love to try and make brioche again at home. It came out wonderfully at school, and then I saw on cooking blogs that it was hard and haven't tried it since for fear that it was all beginner's luck. If that doesn't count, I would have to say sourdough bread with a starter. We were supposed to do this a school, but ran out of time. I haven't ever made my own tomato sauce. I know it's easy, and I have made things that are much more difficult, but I'm still intimidated! lol! My mother, who is 84, makes me a Chocolate cake every year from scratch. The recipe is 3 pages long and it uses ground almonds for the flour and has a chocolat ganache for the frosting. It is definitely "to Die for", but looks too difficult for me. She made me another one just 2 wks ago on my last birthday, fell asleep while it was cooking so it is a little dry, but still is just amazing!!!! Croissants. They just seem so darn tricky. But I love them!! I have macaroons on my list of things to try! I have never made Cherries Jubilee or anything flaming. I have not made anything flaming intentionally, that is! I've been wanting to make ice cream, souffles, and macarons.... yum. Need to go and buy some ingredients now! I would like to try and make a lemon meringue pie. I've always wanted to make focaccia and never gotten to it. It sounds too scary to give it a try, but I will, someday, I will! Ever since my friend gave me a macarons recipe book last year for my birthday, I've been meaning to try to make them, but since I'd never eaten one, I wouldn't know what they're supposed to be like. But! Tonight I had my first one! Well, pieces of two, in an authentic Japanese resto no less, but they were amazing - one was wasabi flavoured and the other green tea. Croissants! It's too hot in my kitchen to make laminated dough and not have that butter running through my folds. But someday, when the planets align, the weather is 40 degrees cooler and with my rolling pin handy, I WILL make it! REAL bagels!!! I'm a Yankee in the south and just yearn for them so! 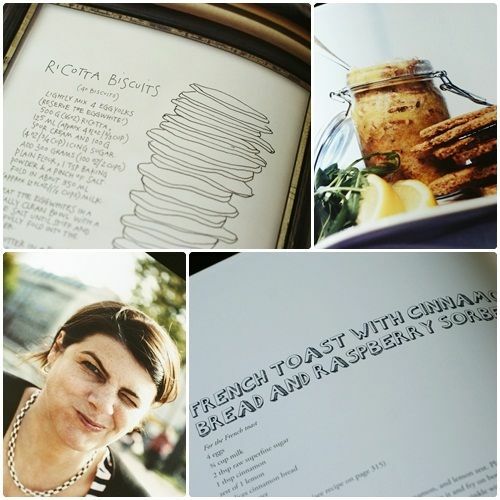 The cookbook looks fabulous! I have always wanted to make marshmallows and one of those cream puff towers circled in spun sugar. I adore cream puffs! I have always wanted to make marshmallows, but the sugar scares me. I love the illustrations that you show from the book, they are so neat. I'd like to try making marshmallows. There are lots of recipes but it just sounds too difficult. I've always wanted to make marshmallows but have never tried... yet!! OMG!!! I *just* started a blog about this very concept - I recently decided that I wanted to try making as much as I can from scratch. So I NEED this book!!!! One thing (of MANY) on my list is ketchup. I am just waiting until we use up the bottle in the fridge, and then it's ON. Thanks for the chance to win - but even if I don't, I will be looking for this one at my bookstore! Homemade cinnamon rolls have been on my list for a while. Homemade looks like a beautiful book. I would like to try making croissants. I have never made croissants or marshmallows myself; I think both would be fun. Thanks for the chance to win! I've always wanted to master the art of making homemade biscuits. The kind that are light and fluffy, not like the hockey pucks I make! And I would LOVE to win the cookbook! I have always wanted to make tirimisu! I have always wanted to make a chocolate souffle. I just have never had the nerve to try it, I'm too afraid it will fall and taste awful. But maybe if I had this book I would find some courage!! Delete this comment if it's going to mess up the draw as I'm not entering. Just want to tell you that you did a wonderful review of this new cookbook. I love that the recipes are printed like they were hand-written! Good call to use the ginger cookies and your *pie* looks awesome. For the record, the one thing that I've always wanted to bake and home, or anywhere else for that matter would be cream puffs. I love cream puffs and only ever ate home-made ones when my friend's mother made them (we were friends when we were in Grade School)so I haven't had a home-made cream puff in honestly...decades! well, there are so many things. I shared a house once with a girl who never cooked except souffle... I thought that was the weirdest thing, 'cos the thought of making souffle has me shaking. I also taught an adult ed class once where we talked about pasta, and one of the women in the class had NEVER BOUGHT PASTA, she always made her own. Another strange person. Would love to make pasta. But most of all I think one of those desserts that you set on fire. How cool would that be? I have always wanted to make croissants from scratch. I've even found a recipe I want to try, but all the directions for shaping make my head spin. I HAD never made an Oreo Cheesecake until this week! It's my birthday cake today. I've always wanted to make the perfect from scratch spaghetti sauce that simmers for hours and you dream all day knowing what goodness is being created there! I recently found a recipe for a Christmas Winter Pudding Bomb from Jamie Oliver and it is definitely on my list! Stunning! I've always wanted to make homemade pasta but I haven't yet! Definitely chocolate souffle and macaroons. I am quite heavy-handed, and the thought of gently folding in the egg white scares me!!! I've always wanted to make apple pie! Cheese. Macarons. Homemade butter. Croissants. And I've never made a successful pie crust. I'm always up for cookbooks, and this one looks spectacular! I'd love to make my great grandmothers recipe for a fresh coconut cake that calls for hand grating the coconut and using the milk of a fresh coconut. Spaetzle. I had some once at a restaurant and it was DELICIOUS. And I really, really, want to try making it. But I don't. I have always wanted to make whole wheat bread! I've always wanted to make foccaica bread, but never have the time!!! This book looks amazing!!! Also anything with amaretto in has me drooling!!!! And the cookbook is just lovely! I'm am not entering the giveaway, because I already have a copy of this book! Just wanted to say that I love this book! It's so original, not only the recipes but the layout as well. I think it's really inspiring! It actually was voted 'Cookbook of the year in 2010' here in the Netherlands! 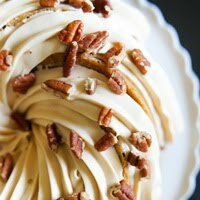 The Pioneer Woman's cinnamon rolls. I would love to make crème brule. I have always wanted to make a chocolate cake in the Laduree cookbook that has a preparation time of four hours!!! I need to get rid of my kids for the day to do it! 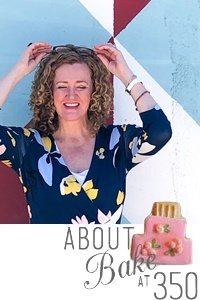 I am a silent follower of your blog, I keep looking at all your baked goodies and the most I love is decorating skills, I have a long list for baking things, the one I love to do is baked Alaska and Macaroons which I tried twice and failed and scared to do it again! I've never made a loaf of bread. I struggle with yeast, so I stick with quick breads. I really want to make some warm, crusty white bread and slather it with butter. I've always wanted to bake a pie....like a REAL one with a homemade crust and not store-bought! For my wedding (7 years ago) I was given a book just about pies and yet I still haven't tried it! I always wanting to bake a souffle. It doesn't matter what kind sweet or savory, any recipe with the word "souffle" in the title scares me. One day soon I hope, I'll be able to conquer my fear. Crossiants, they would be so tasty, but have not tried yet. Have yet to tackle making filled chocolates - the ones with different flavors and shapes. The book looks amazing. Love the pie. Pasta, marshmallows, or cinnamon rolls! I've always wanted to try making donuts, but I can't bring myself to deal with all that boiling fat... I'm planning on making the baked ones someday, though. This book looks fab! Amsterdam is one of my favorite cities in the world, and the food there is delicious! My husband has always wanted me to make him a pecan pie. I don't know, it looks too sweet and gooey! I've always wanted to make macarons (spelling? ), but again, can I achieve success? They are so pretty! I've always wanted to make Stollen. I love fruited bread and marzipan, so this is a match made in heaven for me. In fact I love all the cakes, breads, cookies etc that make Christmas a foodie dream. MACARONS!! And madeleines :) They are on my baking to-do list! I've always wanted to make a wedding cake. I made 182 wedding cupcakes for my brother, but never a wedding cake. 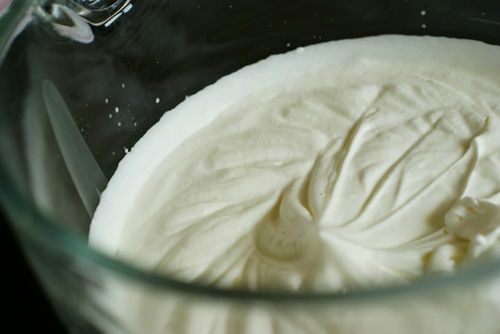 I've always wanted to make pastry cream, like the kind that goes in a fruit flan. Not sure why I've just never gotten to it! I've never wanted to make this pie before, but that is because I never saw the recipe before. Now that I have, it will be available to testing very soon. Chocolate cake roll decorated like a log. Every holiday I see them and think about making one. Maybe this year I'll have somewhere to take one. I love a good cookbook too. I've always wanted to try making my own cheese. I'm just unsure of where to start. I've always wanted to make hummus but never have...and I may do it today! Most def macarons - they are just SO pretty....I want to make all kinds of them...just have never tried. I've always wanted to make cheesecake! I'm a pretty adventurous cook, but I've never attempted a souffle (sweet or savory). But I want to! 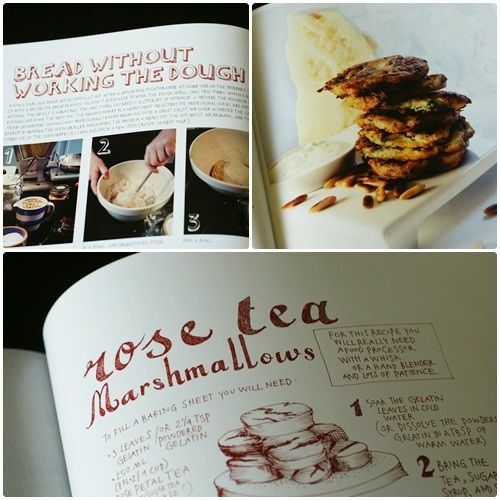 I love your blog and the cookbook looks wonderful!! Cannolli! I don't tend to fry, so I've never made them, but I do love them! I have always wanted to make S'More Rockin' Reindeer Ravioli (cookies!) for my Christmas cookie plates. They are going to be a labor of love, but I can tell just by reading the recipe that they will be amazing! There are so many recipes I've never tried, but I guess I'd like to challenge myself to make a chocolate souffle. They look so pretty and puffy! The cookbook looks amazing. Thanks for doing this giveaway! Have a great weekend. I love bread pudding... its so delicious but there are so many different versions of recipies that I get nervous about which one to make so I never end up trying them. I've always wanted to try homemade pasta, but I just can't seem to work up the courage! Each Christmas, I always dream about making the stollen. I never follow through because my previous attempts at other yeast breads did not turn out well. I make reliable christmas cookies instead. There is a recipe for Belgian Pie that has been passed down in my family. Have never tried it, but someday I will. Anything using my KitchenAid stand mixer! I've had it about 7 months and it's still in the box. 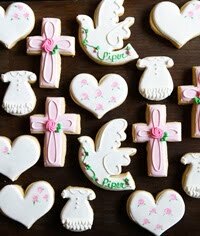 I especially want to try pasta, bread, and decorated cookies like I see on this website! Don't know why I'm so intimidated. Souffles, they seems like they'd be really hard but I now have new, which means EVEN, gas oven so I might attempt. You had me at Amarreto! I am the same with cookbooks... love to read them!! I have always wanted to make croissants, but have never got the guts up to try. It would be too dangerous if I were successful!!! We had a sweet bakery in SoCA that made almond croissants... delicious, delectable pastry filled with almond paste, drizzled with almond glaze, and sprinkled with toated, slivered almonds. It has been YEARS since I have had one. If I learned to make croissants, I would have to make these all the time and would gain 100 pounds!!! This book looks fun. Blessings! Bread....it scares the crap out of me for some reason. I WILL be trying it this winter no matter what! I am incapable of making pizza dough. I've tried! It always fails. I can bake bread, cakes, cookies, whatever. But pizza dough? A sad no-go. I've always wanted to make homemade tortillas but never seem to have enough time. I've always wanted to make scones from scratch, but I've never tried them. I feel intimidated! etc. but I have alway wanted to cook and can spiced peaches, just like I remember eating at my Grandma Phillips house when I was 6 years old. Each peach season I think 'this is the year' BUT season is over before I can find small cling peaches to spice and pack in jars & process. I can still remember the small peaches that came from her tree & marveling over the taste of putting a whole one in my mouth and eating the flesh off of each and spitting out the seed. Ah, memories . . .maybe Peach Season 2012 will me my year to preserve several quarts of these memory makers - my mouth is watering as I write this! I've always wanted to be able to cook my own fish, but I don't know how. Also a souffle, because I've heard how hard they can be to make. I have wanted to make an Angel Food Cake for a long time...I must make it! I have wanted to make marshmallows and graham crackers for EVER!!! Then I would make "homemade" s'mores!! I have always wanted to make puff pastry! It would be great to have a stash in the freezer! My husband just asked for tator tots??? Go figure. So that's on my list as well! Thanks! I have always wanted to make PIE! Unbelievably I have never made something so simple even though I cook and bake more days than not! Gaye: When I was an exchange student in North Queensland, we could purchase cream filled buns. 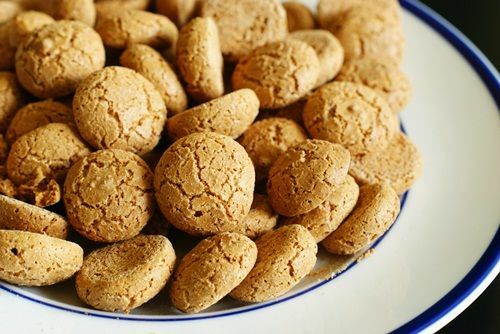 I always wanted to make them, but unable to find a recipe. I've never made tortillas at home and I would like to! My mother used to make Kransekake Cake every year on her wedding anniversary ... have never tried it .. but always wanted to bake one ...!!! I hope I soon do !! WOW! That pie looks amazing. And easy, too - BONUS! I've never made croissants. Love them, but the whole process is intimidating! I have always wanted to make tiramisu. It is my favorite dessert but I've always been to scared to try! I've always wanted to make croissants! I've made just about everything else on the planet, but for some reason croissants just strike me as a pain in the patootie... The cookbook looks beautiful; thanks for sharing it. I've always wanted to make chocolate mousse! I love it and always get it at restaurants but for some reason I keep chickening out on making it at home! Biscuits & Breads. For some reason I am just scared to try. I've never made my own cheese but I'd love to try. This looks like an amazing book. Oh lord, there are a lot of things I've always wanted to make but never have. Pie, for instance. I've always wanted to try my hand at homemade buttermilk pie, which I've recently fallen in LOVE with. Other things include ice cream, more "adventurous" cookies (anything that isn't choc. chip, oatmeal, or sugar), or cake that isn't made out of a box. As for non-dessert stuff... Fish, barbecued meat (namely brisket. I love me some brisket), venison... Mostly meats I've never tried. I'm a big carnivore and a..."dessertivore", if you will. I also love cookbooks and read them cover to cover..love the ones with stories as you mentioned! I've always wanted to make homemade fondant, but haven't yet. This book looks beautiful...artsy, and unique recipes. I have always wanted to make my own candy, though the complexity seemed out of my league. I've always wanted to make bread using yeast, but I've always let it intimidate me...I don't know why but yeast is a roadblock for me in baking. I'd love to learn how to make a real Austrian apple strudel. I really want to learn how to make fresh pasta! I have always wanted to make a cheesecake. For some reason I have never taken enough time to actually buy a springform pan so that I could try to make one! A week ago, I would have said "homemade apple pie" completely from scratch however, I've recently done it! Whoo Hoo! So now I think I would like to try truffles or something else with lots of chocolate! Crepes! They bring back great memories of grabbing food to-go in Europe and of an amazing little food truck in Austin, TX called Flip Happy. I like savory and sweet: gruyere, caramelized onions, and prosciutto or the classic Nutella. I don't think I have the skills to flip one though!